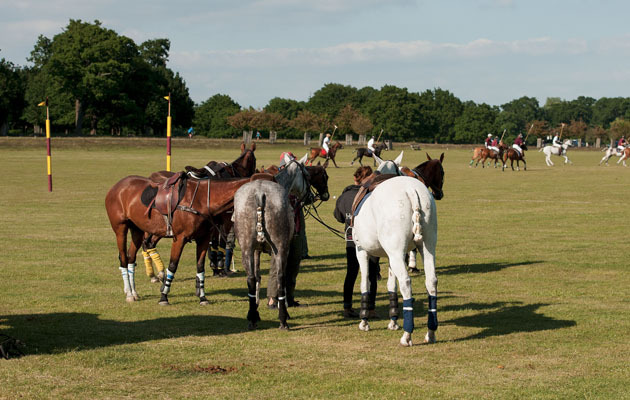 After a 20-year absence polo returned to Richmond Park yesterday (Wednesday 10 June). Teams from Ham Polo Club took part in a “friendly three chukka match” to display the sport to people in the area. “The players from HPC London Polo Club were delighted to be returning to play again in Richmond Park on the old Roehampton Club Ground after a break of many years,” said Nicholas Colquhoun–Denvers, chairman of the club. 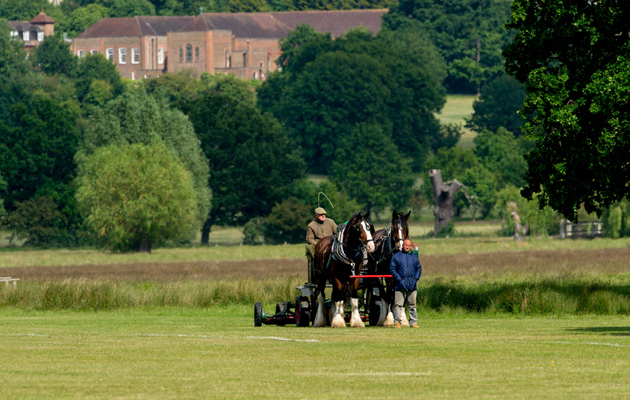 Before the match the field was prepared by Shire horses, who helpfully “mowed” the grass. Nine-year-old Murdoch and seven-year-old Tom, who stands at 19hh, took on the task. The Royal Parks reintroduced the Shires in 1993 as a sustainable way to manage parkland. The system had not been used for 39 years prior to then. In addition to mowing, the horses’ duties in the Royal Parks also include road verge cutting, rolling bracken to preserve grassland and chain harrowing bridleways and paddocks. Adam Curtis, assistant park manager at Richmond Park added: “The park has changed little over the centuries and where possible we try to preserve its traditions. “Equine pursuits in London are not as common as they once were but at Richmond Park horses are still a familiar sight. 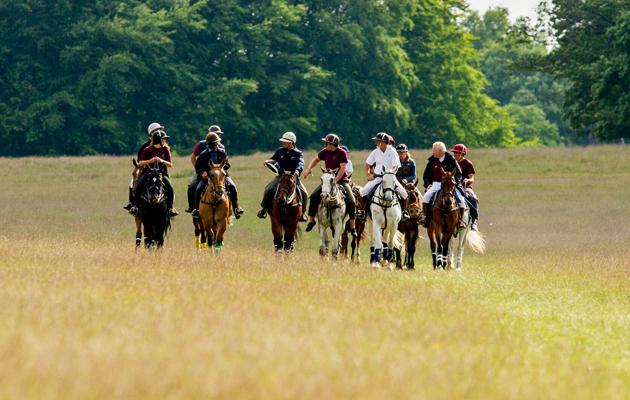 “Riding is actively encouraged in Richmond Park with ten miles of hacking and several local stables offering riding lessons in the park. Every Wednesday until 1 July members of the HPC London Polo Club will be playing a friendly match at 5pm and the public are invited to watch for free. The pitch is located just by the Roehampton Gate entrance of the park.